1.Khaitan Chemicals & Fertilizers Ltd is a 1 rupee face value fertilizer company (Actually diversified company with fertilizer, chemical, soya and power exposure). Year high/ low ratio is below 2 , So price of KCFL is stable for fresh buy. and they ask that " in my book I say do not book loss and in above video I say book loss when year high/low cross over 2 why? Personally I do not invest more then 5000 in a single stock and do not use reverse trading system because near about all of my recommendations are dividend paying and I enjoy dividends in my holding period and do not worry if stock fall from my buying price. I tell this reverse trading system here because some of my followers worried when they see that his stocks is down 10% to 40% and they continue ask many questions in comments and from e mails like this " Sir your recommendations is down so what to do now? etc. 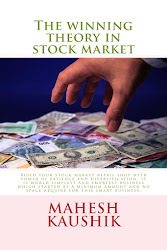 So if you are also track your stock price regularly and worried if your stock is fall 10% to 60% then it is advisable to use reverse trading system ( this is not a loss booking because you buy it again read my book or watch above video to learn more about this system), but if you are unable to track price regularly then just hold a fix small quantity. 3. Promoters of Khaitan Chemicals & Fertilizers Ltd hold 74.99 % FII hold Nil % and DII like Canara Robaco mutual fund, SBI mutual fund also hold this stock. Promoters holding is good but promoters have 41.65% pledged share so this is the only nagative point (Pledged stocks) and due to these pledged stocks I give this recommendation as "Penny share"
4.Khaitan Chemicals & Fertilizers Ltd Pay 0.05 rupee per share dividend since last 3 year. 5. Base price of Khaitan Chemicals & Fertilizers Ltd is 9.07 So So this is the reason why I recommended to buy below 7.71, because 7.71 is 15% below from this base price. 7. Khaitan Chemicals & Fertilizers Ltd net sale per share of Fy 14-15 is 33.94. 8. Net sale per share is good so I think this stock have potential to become a multi-bagger penny stock 2017. 9. Book value of Khaitan Chemicals & Fertilizers Ltd is 13.01 So in book value term khaitan chemical traded below book value and consider as a value buy. 8. Overall I think except pledged stocks this stock is full-fill all of my criteria s .
9. 200 DMA of Khaitan Chemicals & Fertilizers Ltd is 8.77 So at CMP 8.10 ( Recommended to buy below 7.71) this stock traded below his 200 DMA and not usefull for trading purpose. 12.Discloser:- I Mahesh Chander Kaushik author of this research report is an existing research analyst and passed NISM certification for research analysts. I am also registered under SEBI(RESEARCH ANALYSTS) REGULATIONS, 2014 ( SEBI Registration Number INH 100000908 ) hereby disclose about my financial interest in the subject company and the nature of such financial interest:- 1 Me and my associates or relatives have not hold any share of Khaitan Chemicals & Fertilizers Ltd so my personal interest is not included in this stock. 2. Me and my associates or relatives have not any actual/beneficial ownership of one percent or more securities of the subject company ( Khaitan Chemicals & Fertilizers Ltd). 3. Me and my associates or relatives have not any other material conflict of interest at the time of publication of the research report. 4. Me and my associates or relatives have not received any type of compensation from the subject company(Khaitan Chemicals & Fertilizers Ltd) in the past twelve months. 5. I am not served as an officer, director or employee of the subject company ( Khaitan Chemicals & Fertilizers Ltd). 6. 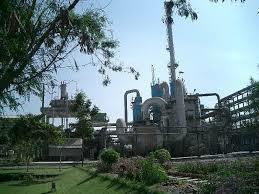 I have been not engaged in market making activity for the subject company (Khaitan Chemicals & Fertilizers Ltd). Sir, this company is around from 1982. Please help me understand why do you think that 2017 is the year that this stock will grow and outperform. Thank you for your argument. in 1992 price of KCFL was 50 in 2003 price of KFCL was 1.75, that was best time to buy KFCL but unfortunately that time my investment in stock market is not start.